I haven’t worn shoes or a bra for nearly a week now. I just cut my hair on the edge of the shore using a pair of rusty scissors I borrowed from my new friends at the restaurant next door. I wear the same two brightly colored, loose cotton dresses everyday over the same worn-out bikinis; my unofficial island uniform. I don’t care how I look. Freckled, salted, and sandy I have found myself in a comfortable routine. I wake up early in the tropics, which I like. I work a little, workout a little, swim a lot, and repeat till the sun goes down. Island life will one day swallow me. I’m not unfamiliar with this side of myself. I often make my way back to these of corners of the world. I never like to go too long without the taste of salt on my lips, the sound of acoustic guitars competing to be heard over ocean waves and the “don’t worry be happy” laid back nature of everyone around. One day I’ll go and never come back. I like the simple life of few possessions, no need for shoes and less laundry. My idea of having nice things is having the ocean at my toes and fresh coconuts everyday. And let’s be honest, I don’t have to try here. Everything is set up to accommodate western lifestyle. I get it. I get the draw. I understand how so many people just like me come and never want to leave. I fantasize about how I could one day make living in a place like this possible. But it’s a bit more complicated than just showing up and taking a bit of space. 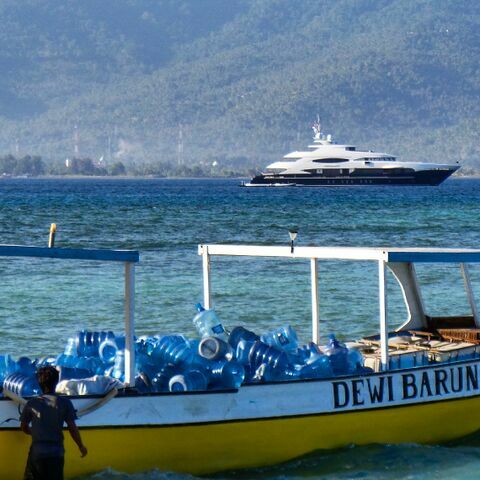 In 5 years, possibly less, Gili Air will likely be unrecognizable. Places like this become “discovered” and development quickly follows. It’s already started here. A chainsaw can always be heard buzzing in the background and camps for construction workers are set up all over the island. Neighboring Gili Trawangan is a full-blown party, and Bali across the way is an expats playground. 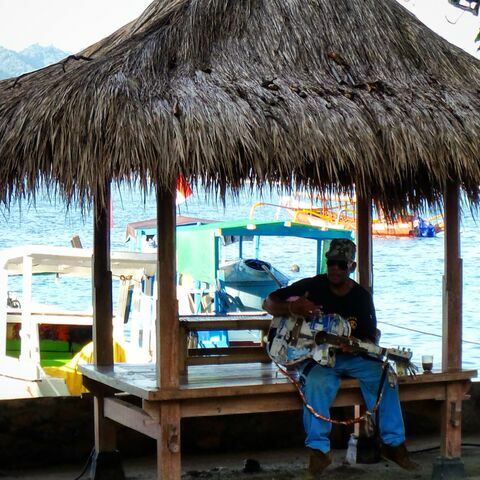 For now on Gili Air there is a happy balance of locals and visitors. It’s mostly owned and run by Indonesians. They are lovely people who really make you feel welcome. It’s the ultimate land of hospitality. I’ve seen places like this before though. They start out as tropical paradises where locals are happy to have you, to share their beautiful lifestyle and place they call home, that they are proud of. They are glad for the increase in revenue and standard of living that comes with tourism, but I’ve seen it change places and its people for the worse too. I’ve seen perfect islands overrun, over-taken by the western world. Anyone who’s had a few buckets on Koh Phi Phi or partaken in a full moon party on Koh Phangan in Thailand knows just what I mean. 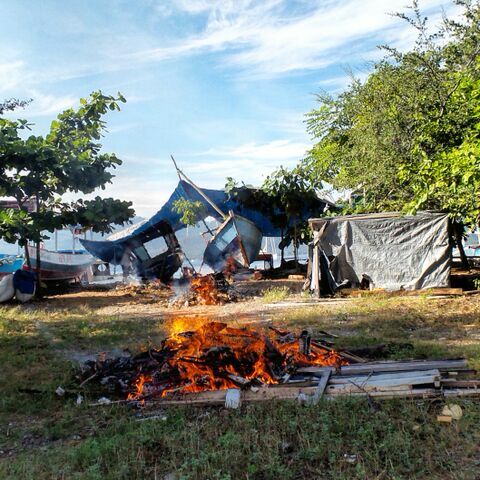 Is this just the fate of these tropical paradises or careless tourism? All this makes me question our impact on places like these. In one way, being flooded by tourism simulates the economy of otherwise poorer countries, but at what point does it go too far? At what point is a place exploited and expected to cater above and beyond to the wants and needs of westerners at local prices with local culture left to the wayside? When pizzas, burgers and beers out number local fare on menus and English is the expected language for everything, is that the point of no return or does it just become the new culture? And is it ok? I befriended a local Indonesian from Java, who moved to Gili Air to open a coffee shop. He embodies the spirit of an entrepreneur, works hard and makes a damn good cup of coffee. He is passionate about what he does and does it with care. He fell in love with the hospitality industry years ago making coffee in his hometown, then in the touristy area of Ubud, Bali. 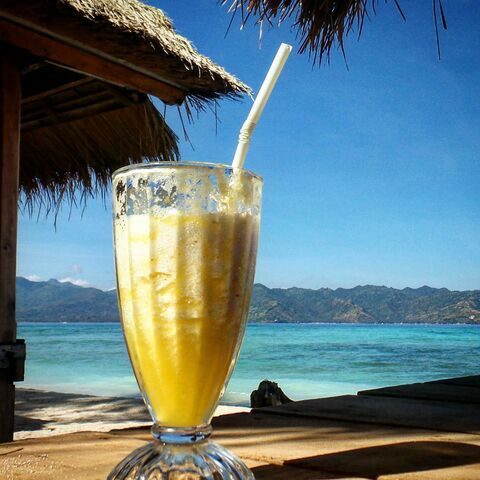 He loved it there and now hopes to be successful with his own business in Gili, riding the wave of all the incoming traffic. He had to find investors though, and his investors are foreign. He told me locals do not patron the places he’s worked, it’s just for tourist. His line of work is not sustainable without tourism so he has found himself adapting to the culture of those visiting, not the other way around. Cool, trendy coffee shops playing indie rock and serving up lattes with hearts drawn in them are not an Indonesian thing, but these guys pull it off well. I spoke to one local, born and raised in Gili Air who was digging around for sea urchin with his family. I approach him curious about their scavenger hunt and ended up having an interesting chat about the effects of tourism. He seemed to have mixed feeling about the rapid growth. He mentioned that he thought the gain in tourism is good for business and that he likes it but he was a little worried about “the crazy” as he called it, that is without a doubt coming to the island. I had the unfortunate pleasure of meeting one Australian on holiday who sparked all this thought that has been nagging at me. He said to me “I love it here, it’s just like Australia but way cheaper.” He then grunted about how lazy the workers are and how long he had been waiting for his breakfast that doesn’t meet his standards anyway. My God, how dare they? I thought he should just go back to Australia where he can get all this and more, but he’d rather save a few bucks abroad. I’ve been told by a foreigner investing and building in Gili Air that the Chinese are also rumored to be buying up big slices of paradise pie for profit. He mentioned that Indonesian government is cracking down on outsiders trying to purchase land but there seem to be plenty simple loopholes that exist. He’s not worried. I’ve met several well-meaning, respectful expats. They love the island life and the people. They want to partner with the locals and help the community. They also see it as a good investment. I don’t think there is anything wrong with expats buying land and moving in, especially the way these guys are doing it, but I still wonder what happens when too many people start to out buy the locals. The value of land will skyrocket and you can guess who will pocket most of the profit. At what point do the well-intentioned expats over-saturate and cross the line. They come in with much more money than the locals can match. What happens when the bar get raised so high it’s out of reach to those they try to help? For now Gili Air definitely belongs to the locals. I really hope it stays that way. 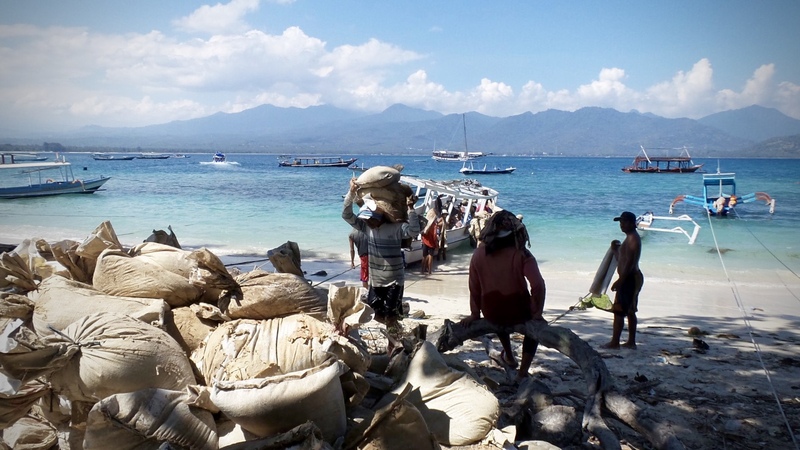 In Gili Air all this rapid development still seems to be met with smiling, worry free exchanges. I can’t help but wonder if this place too will turn into a land of jaded, overworked, underpaid locals, pushed out of their homes to make space for luxurious, foreign-owned, corporate, concrete villas and resorts. With such fast growth in construction and influx of people, comes trash and plastic. Many developing countries don’t seem to have the resources or infrastructure to deal with the demand. The environmental impact is easy to ignore by those passing through on holiday. I frequently hear people say “yeah it’s great here but all the trash…” Not many question how it got there or why it’s not dealt with. They simply crop it out of their photos and choose to look beyond. The impact is not always understood by locals or they have no other choice but to burn piles of garbage and plastic in their yards. Gili Air is better than many places I’ve seen. They have education in their schools about the importance of keeping the island clean. Daily, young kids can be seen picking up litter from the beaches as part of their curriculum. It’s a very cool and welcome sight that reminds me to be more consciences of what I use.